An ecommerce business is just like any other business. It requires a plan and a marketing strategy for it to be successful. Roughly half the world's population uses the internet and that means you can not only reach the people in your local area, but the billions online. 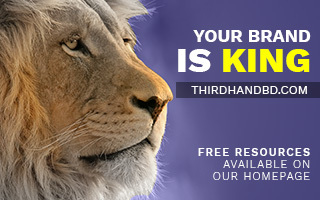 ThirdHand started as a digital marketing service for Entrepreneurs. We started by offering social media post design, Facebook ad targeting, and search engine optimization. Since then, we've expanded our capabilities to branding, print media design, SEO content writing, video creation, UI/UX design, responsive web development and so on. Artificial Intelligence & Virtual Reality are the next frontiers for us.